I’ve tasted whisky from The Lost Distilleries before, and was pretty impressed by it. As the name suggests, these are blends made from whiskies made in distilleries that are no longer with us. Unsurprisingly, this results in some expensive bottles – around the £350 mark, if you can even find them. 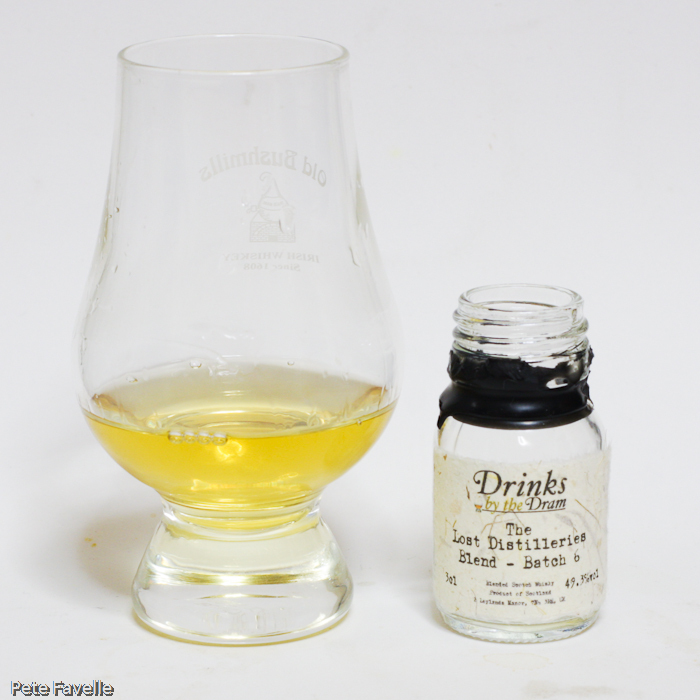 The Lost Distilleries Blend – Batch 6 has an impressive ingredient list; malts from Mosstowie, Port Ellen, Glenisla, Imperial, Caperdonich, Glen Mhor and Brora along with grain whiskies from Port Dundas. The nose reflects the high 49.3% ABV; lots of alcohol at first, which slowly reveals light honey, tropical fruit, vanilla and just a hint of lemon juice. Water opens up more citrus notes, and a suggestion of hazelnut. In the mouth it’s richer than the nose may suggest; dark caramel, overripe oranges, a touch of cinnamon with a slightly bitter finish. Watered, the sweetness is cut back and brings out a nuttier flavour, with sea salt lurking below. The finish becomes more tannic and less harsh. Straight, it’s a little harsh but watered it really opens up and becomes a delicious and intriguing dram – 4 stars.